Rega RP6/Exact review | What Hi-Fi? Take a peek inside Rega’s trophy cabinet and you will find a couple of What Hi-Fi? Awards confirming our hearty admiration for Rega’s RP6/Exact combo. It’s been our go-to package in recent years, but how does it fare against some of the new, and improved, competition out there? You can buy an RP6 turntable without the Exact moving-magnet cartridge, although we wouldn’t recommend it. The pair work so well together, there’s little to be gained by going through the potential trials and tribulations of mixing and matching. 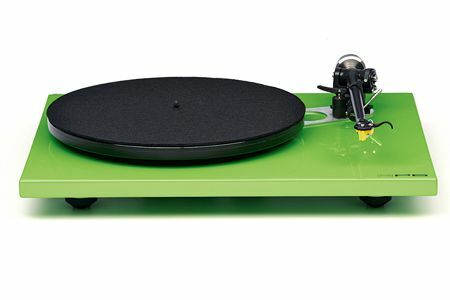 Rega tends to add its own twist on turntable design and this is evident in the RP6/Exact. The turntable uses a layered glass platter, which is thicker and heavier on the outside of the disc. This increases inertia and helps to promote greater speed stability, without adding too much weight to the plinth and main bearing. Rega’s engineers have long felt too much mass spoils the sound. This school of thought also helps explain the lightweight plinth. Rega ensures extra rigidity by using a special resin coating – and it also adds extra bracing between the tonearm and main bearing. The deck’s lack of isolation (apart from three rubber feet, that is) means careful positioning is a must. A level, rigid surface away from speakers (they give off their own vibration and air movement) should be your starting point before spinning any vinyl. Unlike Thorens' TD 206, Clearaudio's Concept and Pro-Ject's 2-Xperience 2-Pack, the Rega has an external power supply, which also doubles as the speed control. It’s not the neatest solution and gives off a homemade feel, but this doesn’t detract from performance. The RP6 shines. It’s an enthusiastic listen, with bags of detail. The deck rumbles through Jamie T’s Limits Lie with a great sense of scale and deep solid drum kicks. His vocal sounds expressive and direct, especially as the track builds up to its final crescendo. Tracks come at you from a regimented and well-organised soundstage. Dynamic and expressive Holst’s The Planets demands greater insight, control and dynamic flux, but it’s dispatched with relative ease. The RP6/Exact pairing delivers the quieter lows and crashing highs with real vigour. Factor-in the RP6’s excellent build quality and easy set-up and it’s hard to avoid the conclusion that it’s a superb proposition. This turntable is one of the most expressive and enthusiastic you can buy at the money.